Could we have started with a more epic picture?! I think not! 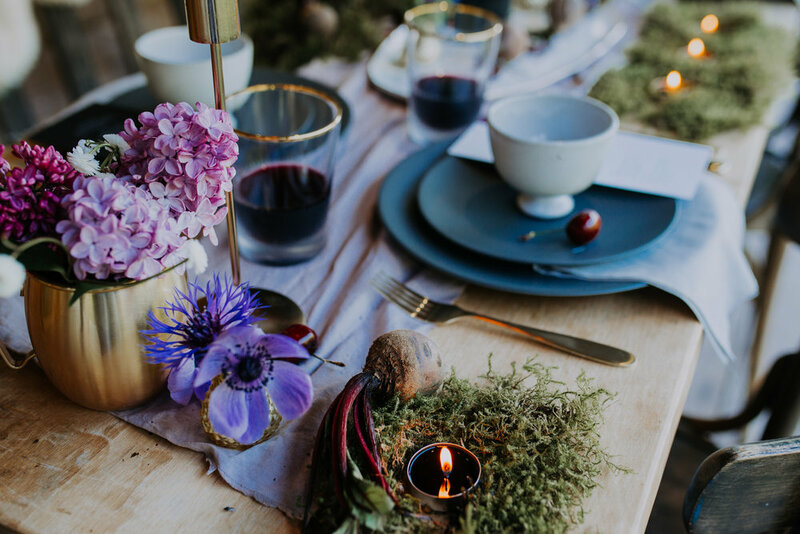 This stunning shot and the whole shoot was captured by the super talented Mindy Coe of Mindy Coe Photography. 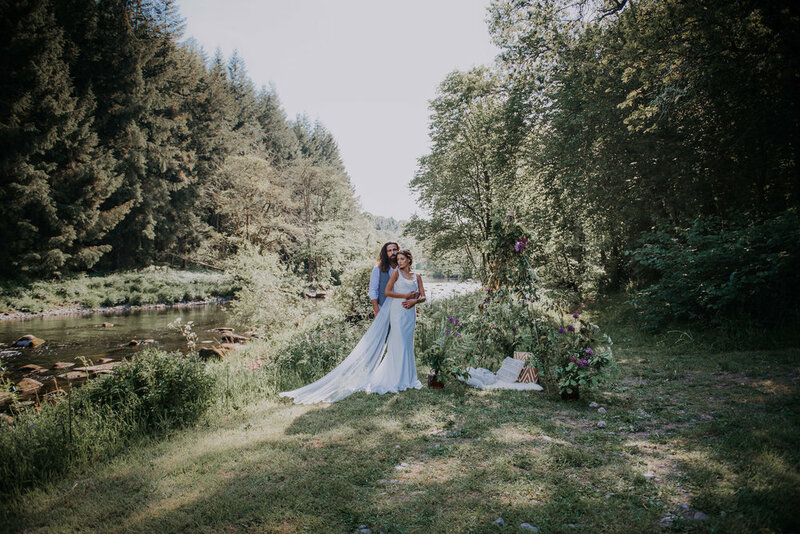 Mindy approached us and other eco friendly suppliers early in 2018 with her idea to create a stunning eco friendly elopement shoot in the Lake District. We of course immediately wanted to be part of it. As the only boutique specialising in eco friendly and ethically made bridal wear we were super excited to find more suppliers on our wave length! Sadly I couldn’t actually come to this gorgeous lakeside setting as baby Robyn decided not to arrive early, or on time but late and so the shoot was taking place only 1 week after giving birth. Don’t think I would have made it up these hills! 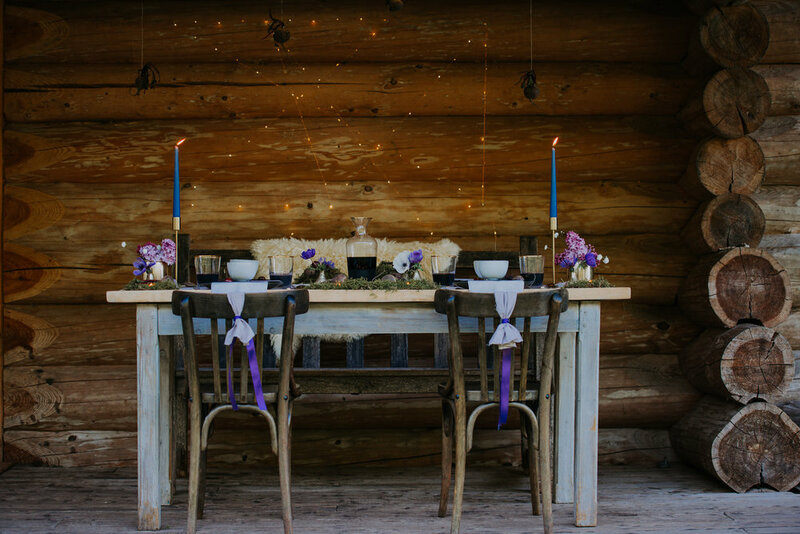 The shoot took place at a log cabin just North of the Lake District which we used as our organic candlelit dinner scene and our serene tipi ceremony area. Before this we headed out to Buttermere and Honiston pass for those raw, emotional mountain shots. The bride wears eco friendly wedding dresses from our Sanyukta Shrestha collection, made from beautiful organic fabrics in fair trade communities. The lakes can be chilly at night so we teamed the gowns with our beautiful Madame Seguin 100% cashmere shawl.